Unlike with most other hawk-eagle species where juveniles and adults look quite different from each other, the juvenile and adult plumages of the Flores Hawk-eagle are nearly identical. Many field guides have mistakenly depicted adult Flores Hawk-eagles with brown heads. This is because this species was once confused with juvenile Changeable Hawk-eagles! 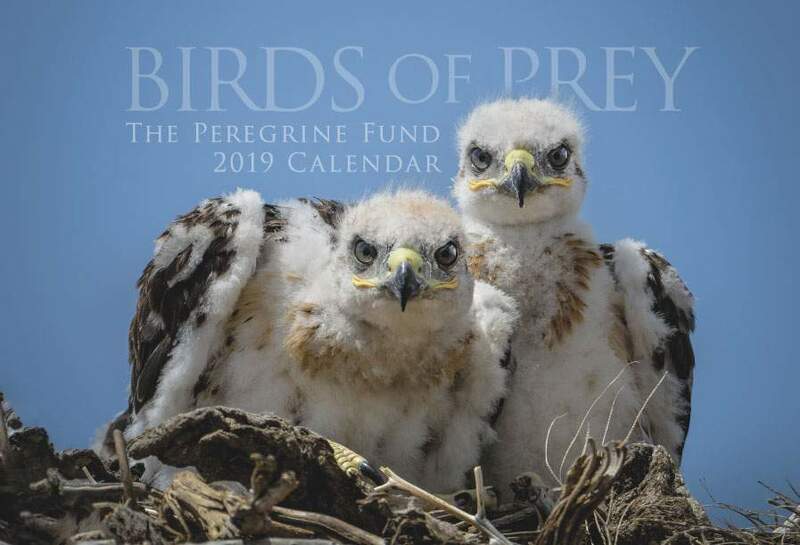 The Peregrine Fund doesn't work directly with the Flores Hawk-eagle, but our efforts in scientific research, habitat conservation, education, and community development help conserve raptors around the world. We also supply literature to researchers from our avian research library, which helps scientists around the world gather and share important information on raptor conservation. Like the Ashy-faced Owl, the Galapagos Hawk and the Bawean Serpent Eagle, to name just a few, the Flores Hawk-eagle is an endemic raptor species. Specifically, the Flores Hawk-eagle is endemic to the Lesser Sundra Islands which include Flores, Sumbawa, and Lombok. In case you haven't heard of the Lesser Sundra Islands, they are a group of islands situated in the Indian Ocean, north of Australia. Biologists believe that this species is essentially dependent on lowland rainforest habitat for its survival, although it has been documented in submontane forest, which is forest growing along foothills or low mountain slopes; and montane forest as high as 1,600 m on Flores. Other researchers observed this species in cultivated hills and woodland from sea level to 1,000 m. However, when it is seen flying over cultivated areas, it is always been near intact or semi-intact forest. Flores Hawk-eagle adults and juveniles look very similar to each other. The plumage is a lovely mosaic of black and white, which makes for one stunning bird. Both adults and juveniles have beautiful, almost snow-white heads, which in some individuals are speckled with thin brown streaks just on the crown. The feathers on the breast and belly all the way down their legs are also bright white. This contrasts nicely with their dark brown backs. Continuing with the "chiaroscuro" pattern, they also have a distinctive white patch on the upperside of the wings. Some individuals might have a patch that is more grey than white, but it is still quite visible against the dark feathers of the upper wing. They have brown tails with six dark brown or black bars. However, the underside of the tail and the upper-tail coverts are white! The Flores Hawk-eagle is not a migratory species. However, scientists believe it does fly from island to island within its known range. In fact, this species spends a lot of its time flying - most often above the forest canopy along the sides of steep mountain slopes - especially during the hottest parts of the day. The Flores Hawk-eagle is in trouble. Researchers believe the population is in decline due to some of the same threats facing many other wildlife species around the world. Because the species is dependent on lowland forests for its survival, deforestation is a major threat - causing this species to lose much of its valuable habitat. 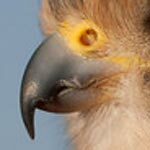 But that isn't the only threat the Flores Hawk-eagle faces. And biologists believe that the amount of land in protected areas in this species' range is too small for the species to be able to survive in the long term. Because it is known to hunt domestic poultry, many people kill this bird in a misguided attempt to protect their chickens. But, unfortunately, people are killing these birds for other reasons as well - to sell off as display mounts for the taxidermy trade. And, just as with the Javan Hawk-eagle, the Flores Hawk-eagle is often captured alive to be sold to individuals or others who want to keep the bird in a cage for the rest of its life. Some researchers discovered that people are coming from as far away as Java and Bali to kill or capture these birds. And, again, similar to the case of the Javan Hawk-eagle, the rarity of the Flores Hawk-eagle could be the reason why it is being shot or captured - the rarer the bird the higher demand for collectors of taxidermied specimens or live-bird collectors! There are only an estimated 100 pairs left of this amazing bird of prey. Little is known about the hunting habits of the Flores Hawk-eagle. From what we do know, it likely feeds on small mammals, birds, and lizards - similar to what other related eagle species eat. Though it likely normally hunts in its forest habitat, it has been observed hunting over cultivated lands. And, on one occasion, a researcher saw an individual Flores Hawk-eagle hunting early in the morning in the middle of a village! Just as there is little information about the diet of the Flores Hawk-eagle, there is even less known about its nesting habits. It is believed to nest during the dry season - from March to August. Apart from that, little else is known. We don't know how many eggs it lays or what the eggs look like; what types of trees they prefer to nest in, or the dimensions of their nests. We don't know if both the male and the female share incubation duties or how long the young stay with the adults. There is so much to learn about this species. But very sadly, there is a chance it might go extinct before we have a chance to do so. The World Center for Birds of Prey offers fun ways to learn about raptors. Interactive activities, tours, interesting videos and a children's room with activities from coloring sheets and quizzes to costumes and a touch table are available for the curious mind. We also have several different birds of prey on display year-round, including Fancy, an Ornate Hawk-eagle, which shares some similar characteristics (body shape, tall crest) with the Flores Hawk-eagle. 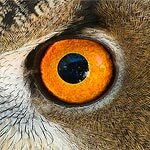 Come for a visit, where our knowledgeable staff and volunteers are on hand to answer any questions you may have about Flores Hawk-eagles or other raptors.